The path to Microsoft Dynamics 365 from AX 2009 or AX 2012 may be easier and faster than you think! 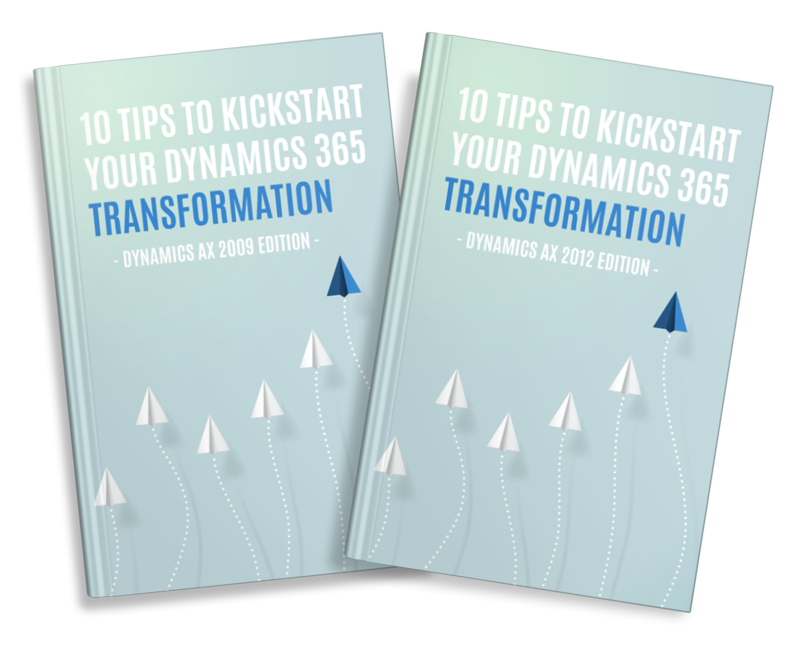 Get the kit that will give you 10 actionable tips so you can start planning your business transformation. Whether you're running AX 2009 or AX 2012 on-premise, the journey to the cloud for each edition has its unique set of considerations. To help you kickstart your planning, this kit includes a recorded webinar, plus two eBooks addressing the 2009 and 2012 versions of AX. Just fill out the form above to gain access or contact us to learn more about our upgrade workshop. Learn key dates and considerations for different versions of AX, plus migration tool capabilities, limitations, and availability. Find out how to know if your existing ISV solutions and customizations are cloud ready—or if you even need them anymore. Consider how easy it would be if you just started with the 20 user minimum of licenses to kickstart your journey to the cloud. our pay-as-you-go global support. Only use us when you need us until you're ready to start your Dynamics 365 journey.